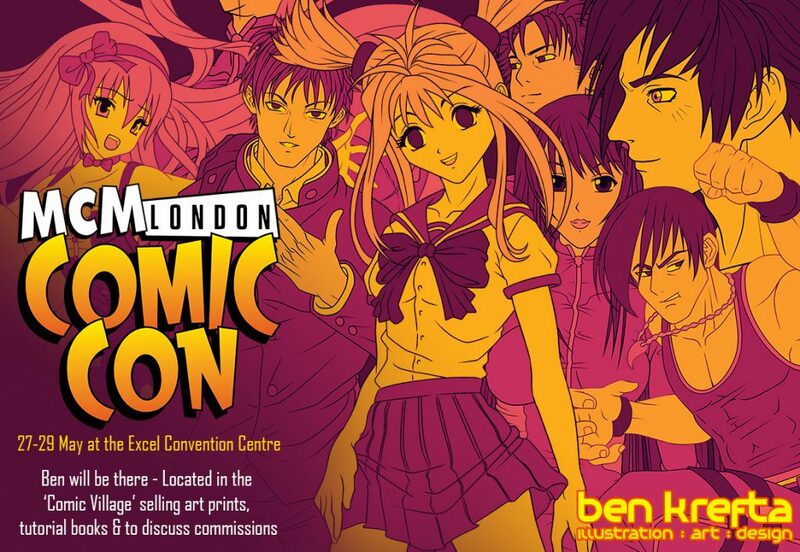 I shall be attending along with dozens, if not 100s of other artists at what looks to be the UK’s biggest comic convention yet. I’ve got a comic village table from Friday 27th of May until Sunday 28th, so anyone who’d like to drop by and say hello, buy a signed print or book is more than welcome. We can discuss potential commissions- this is something I’m happy to do after the con, as I like to put in more time, effort and a better level of finish than is achievable while I’m there throughout the day. This will be the 9th Con attended in the last 12 months. It was this time last year when I first started making inquiries to set myself up with a table. I’ve had some good times at the comic cons I’ve been to and love being in an environment where I get to unleash my inner geek, although I just have one other convention at the London Film and Comic Con in July booked for this year and then I expect I’ll only be making appearances at the London MCMs (providing I can get hold of a table booking in time, since they seem to go in under an hour of being announced!) and perhaps a few local cons here in the South East of England.